An article in the January 2011 edition of Scientific American Mind, “Your Brain on Blueberries” suggests that compounds in blueberries – known as flavonoids – improve “… memory, learning and general cognitive function, including reasoning skills, decision-making, verbal comprehension and numerical ability.” It was comforting to hear this from Scientific American, a publication of some repute that is not marketing a product or a book. Of course, I confess I liked this because it reinforced what I was already doing and was consistent with views fostered by my deceased Christian Science parents. Within a week or so after the Scientific American article was published, Newsweek published an article billed on its front page as “The Truth About How to Boost Your Brain’s Performance” that blew away the claims that blueberries and other flavonoid foods boosted your brainpower by calling these claims sketchy like a “Wild West poker player with a fifth ace up his sleeve” referencing a National Institutes of Health 2010 study on purported ways to maintain or improve cognitive functions. No holds barred here by Sharon Begley the author and the science reporter for Newsweek. She notes that the brain boosting claims for blueberries and other flavonoids have not been “scientifically documented” citing some pretty good neuroscience studies on what increases cognitive functions. Begley points to other activities like exercise, meditation and certain computer games as better documented ways to improve cognitive functions. Her points are well made although Begley does not mention in her Newsweek article the earlier Scientific American article nor did she reveal that she already had a book on the market expressing her views on this subject. With all of these conflicting claims, is there any way the average person can make sense out of this or is it even worth trying? First, maintenance or improvement of brain cognitive functions is important considering we are living longer and with age, cognitive functions decline. So what about the claims made by Scientific American that blueberries and other fruits and veggies boost your brainpower? Well the Scientific American article does not claim that it is based on the so-called gold standard scientific double-blind placebo studies and has a lot of qualifiers that eating blueberries and other flavonoids rich foods “might’’ or “may” boost cognitive brain functions. I took the Scientific American article to mean that Scientific American was not claiming more than what science could support – a possibility – although Begley sure picked up the bait and ran with it. Still, I think the debate is worthwhile and Scientific American and Begley make some good points, if you take their claims in context. I am going to continue to eat my blueberries, continue to exercise, try meditation and hope that computer surfing counts for playing computer games. No, I am not going to play computer games even if a double-blind study shows this works. This entry was posted in Musings and tagged Blueberries are good for the brain, cognative function, Foods that are good for your brain, meditiation and computer games, Newsweek exercise, Scientific American Blueberries For the Brain. Bookmark the permalink. 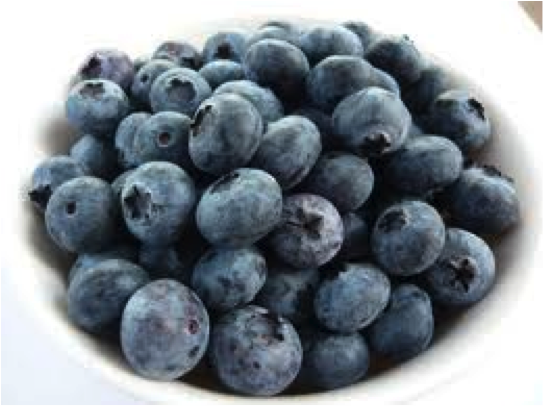 2 Responses to Are blueberries good for your brain? Not sure what to say except I wondered all over the map since I pitted 2 good magazines, writers and articles against each other concluding that the more scientifically prestigious magazine lost the argument.